Evidence for a global or worldwide flood can be found in more than 270 historic stories through the entire world. There are various interpretations that reflect the way details change when stories are passed down or are told from generation to generation due to the absence of written records. These stories are a prime example of independent verification; multiple different cultures separated by time and distance, each verifying an actual account of something that happened early in mankind’s history. Long after the death of Kuniuhhonnna, the first man, the world became wicked and terrible for people to live. There was one good man left his name was Nu-u. 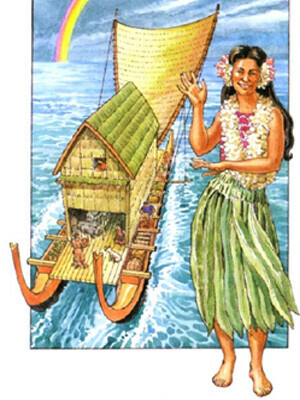 He made a great canoe with a house on it, filling it with animals and when the waters came up over all the earth all the people and animal in it were killed. Only Nu-u and his family where saved. One ancient Chinese classic called the “Hihking” tells the story of Fuhi, whom the Chinese consider to be the father of their civilization. This history records that Fuhi, his wife, three sons and three daughters escaped a great flood. He and his family were the only people alive on earth. After the great flood they repopulated the world. 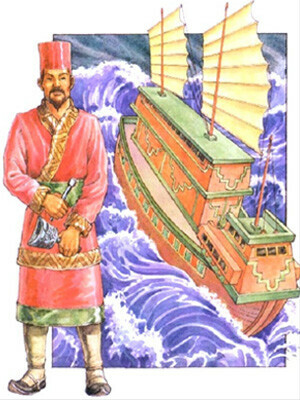 An ancient temple in China has a wall painting that shows Fuhi’s boat in the raging waters. Dolphins are swimming around it and a dove with an olive branch in beak is flying towards it. Found in the histories of the Toltec Indians of ancient Mexico is a story of the first world that lasted 1716 years and was destroyed by a great flood the covered even the highest mountains. Their story tells of a man and his family who escape the destruction in a ‘toptlipetlocali,” which means a closed chest, the name of man was Coxcox. Following the great flood, these men began to multiply and build a very might ‘zacuali,’ or a great tower, to provide a safe place if the world were destroyed again. However, the languages became confused so different language groups wandered to other parts of the world. The Toltec claims they started as a family of seven friends and their wives who spoke the same language. They crossed great waters lived in caves and wondered 104 years until they came to Huw Hue Tlapian (South Mexico). The story reports this happened 520 years after the great flood. The Bible dates put the flood 1656 years after creation. The Toltec legend is only 60 years off even after 4000 years (todays timeframe). The most ancient account of the Great flood, also called the Deluge, is a tablet inscription found in Babylonia. The tablet referred to an older tablet from which this was copied, but only fragments have been found of that older copy, which was handed down from previous king of Babylon. 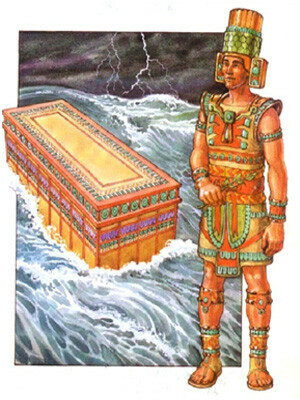 Many people lived several hundred years at that time, the account of the Flood could easily have been reported by someone like King Amraphel (gen 14.1), who was one of the early kings of Babylonia after the flood. 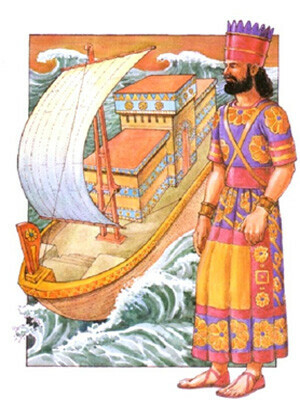 Another flood account was prevalent during the time to Alexander the Great, probably recorded by a Babylonian historian for the benefit of the Greeks. He wrote of the ante-diluvia (pre-flood) rulers and the “Great-Deluge” that covered the Earth.